The building has adjoining or attached buildings on three sides (typically one building on each side, and one behind). An example is a building within a block, that is also adjacent to a building in the back. 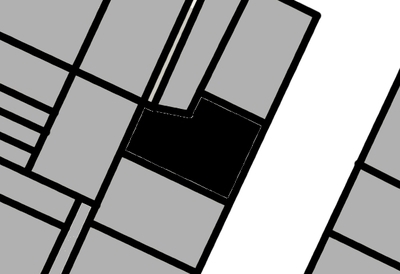 The building shown in black in this plan view has adjoining buildings on three sides.